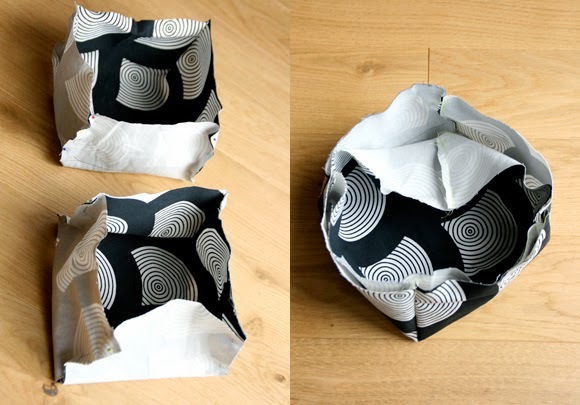 after you have cut out your shapes, pin the four courners together as seen below and sew. turn one basket piece right side out but leave the other basket piece left side out and place them into each other. 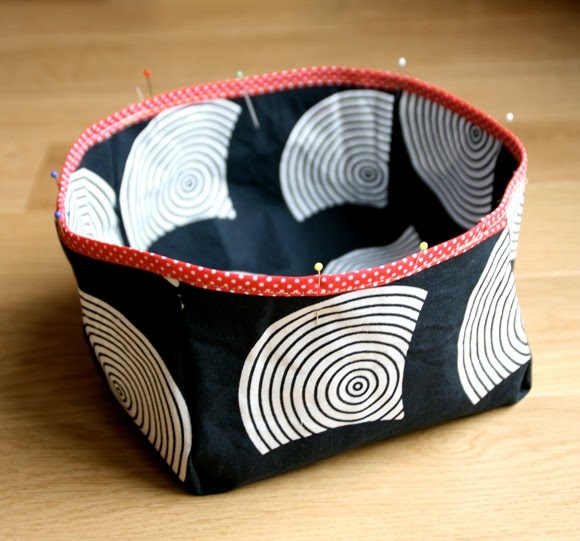 next, you need a piece of bias tape (or make one yourself out of a strip of fabric, that's how i made my second basket seen in the first picture) and pin it to the top of the basket to "close" it up and finish it off! 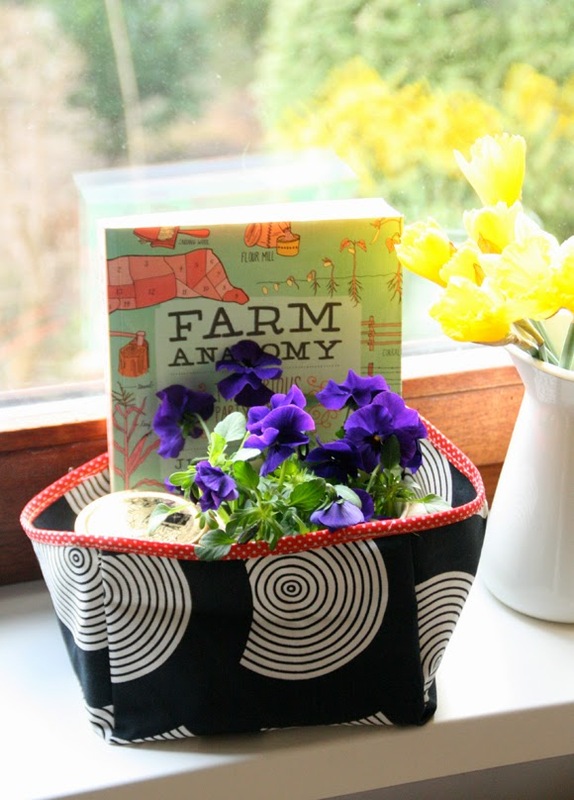 i think these simple spring baskets are perfect for bread or bread rolls, to put toys in or to prepare a little gift. i admit, i just put the above gift basket together for the photo, but wouldn't that just make a lovely present? These are so cute, I love them. Thanks for the tutorial, can't wait to make some. These are cute looking, and they'd make such great gift baskets as you're showing on the last picture! I also love how they're collapsible, just in case you need to store them away for a while. Thanks for the easy instructions, perfect for a beginner sewer like me! Can't wait to try. Gotta love things that are both stylish and functional.